When it comes to designing the perfect outdoor retreat, few factors are more important than livability. A balance of comfort, warmth and functionality can make a step into your backyard feel like the start of a vacation. 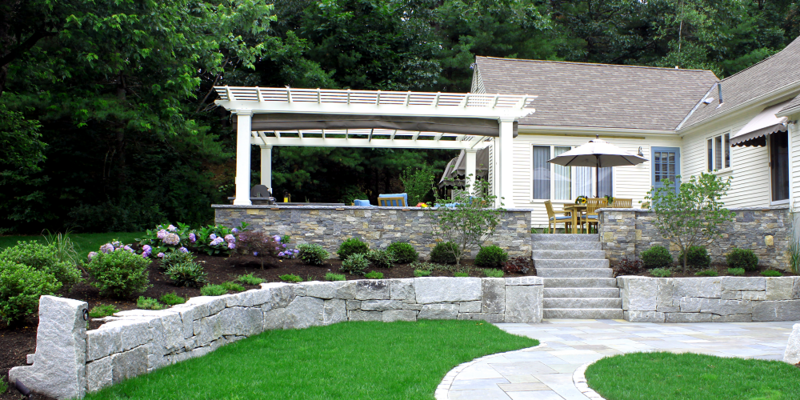 Over the past several years, outdoor living has become a top priority for homeowners. 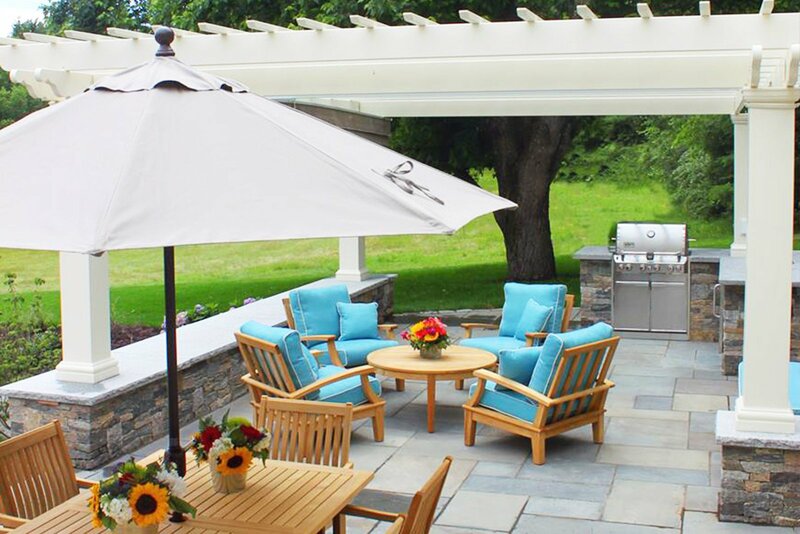 Backyards are turning into entertaining spaces, outdoor eating spaces and outdoor living rooms. To make this possible, homeowners are incorporating features like patios, outdoor kitchens, fire pits and outdoor fireplaces into their yard designs. For evening entertaining, more and more homeowners are installing lights to illuminate their granite and natural stone hardscape designs. Adding a fire pit to your backyard is one of the simplest ways to transform it into a four-season outdoor living space. 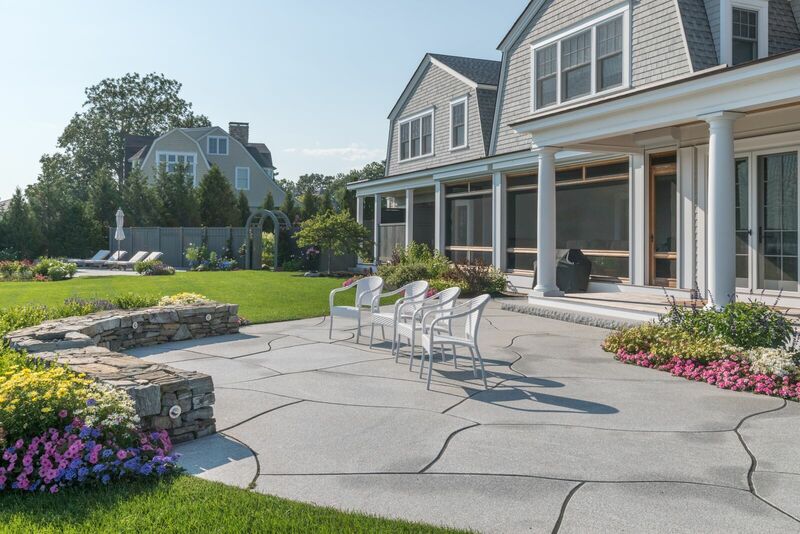 For Jen Migonis, home design blogger, real estate investor and mother of four, a DIY Woodbury Gray granite fire pit from Swenson Granite Works was the perfect addition to the Nantucket style backyard retreat at her newly renovated Cape-style home in Manchester-by-the-Sea, Massachusetts. For most of us - and more often when the weather cooperates - a meal outside on the patio in the fresh air can be an enjoyable experience. Backyard chefs are packing up their old rolling barbecue cart, paper plates, and plastic utensils to make their outdoor dining spaces a bigger priority when planning home improvements. More and more, outdoor home entertaining is a gourmet affair, requiring easy access to equipment like sinks and stovetops and thoughtful seating areas. 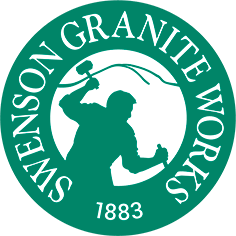 A well-designed and fully functional outdoor kitchen built with granite and natural stone from Swenson Granite Works guarantees a memorable outdoor dining experience and increases your home’s value. When warm weather approaches, it’s time to leave the living room couch behind and get out to your favorite backyard spot. Whether it’s to kick back under the sun, entertain guests or dine alfresco, the patio is where it all should happen, so why not make it perfect in every way? The right look, feel, design, size and location all play a part, but most importantly, it all starts with the right hardscape material. Ready for some exciting news?  Swenson Granite Works is opening two new locations this May in Shrewsbury and South Hadley, Massachusetts. Now there are nine convenient locations in the New England area, each with a dedicated team who is ready to help you complete your next home project. Granite lamp posts are a great way to light up city parks, along community sidewalks or trails, and they add a touch of elegance to a variety of municipal areas. If you reside out in the country without the added glow from the city, or even in the suburbs, granite lamp posts are essential for lighting your landscape and making your home safer in an attractive way. 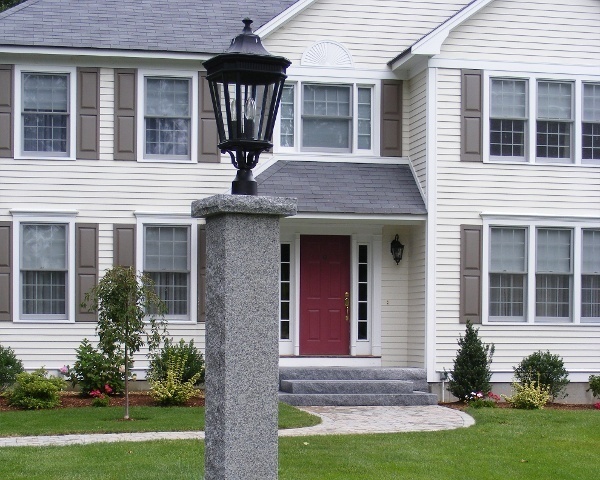 Not only do granite lamp posts increase visibility, they’re durable, maintenance free, and will enhance the look of your property during the day and at night. 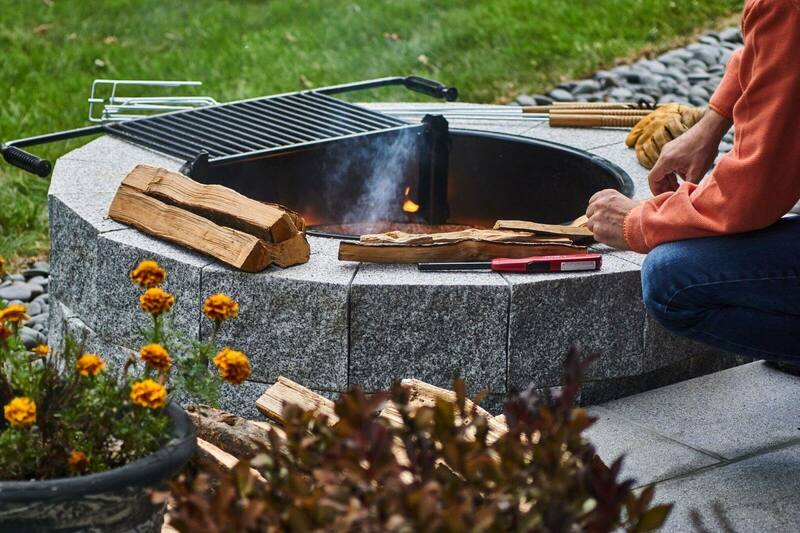 Whether for gatherings, s’mores, relaxation, or simply keeping warm on a crisp evening, a fire pit is an essential outdoor feature for any backyard.